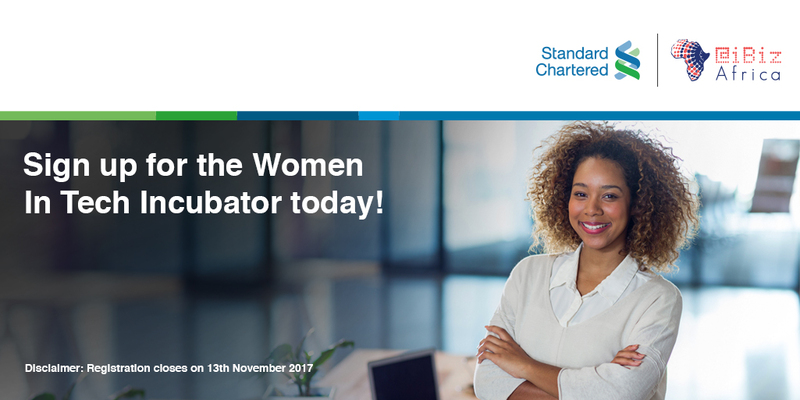 Standard Chartered Bank and @iBizAfrica, Strathmore University have partnered to create the Standard Chartered Women in Tech Incubator. A program that supports female-led entrepreneurial teams by providing them with training, mentorship and seed funding. Committed to being digital by design, the bank is proud to be first in partnering with @iBizAfrica, Strathmore University to support female entrepreneurs with technology to grow their businesses. @iBizAfrica is a business incubator under the umbrella of @iLabAfrica, a Centre of Excellence in ICT innovation and Development based at Strathmore University. There will be an open call for participation leading to a final selection of the top 10 contestants with the most compelling ideas. The 10 selected contestants will then go through a 12 week incubation period at the end of which five final winners will be chosen. Each winner will awarded $10,000 seed funding to invest in their business. We are seeking to recruit the best entrepreneurial minds, women-led start up teams of 2 – 3 people leveraging on technology as a key driver of innovation in business. Applicants are welcome from the general public, all schools, colleges and universities in Kenya.